I love being outdoors with my kids. Whether it’s throwing balls for the dogs, riding bikes, or having a tea party, spending time in the sunshine together is one of our favourite things to do. 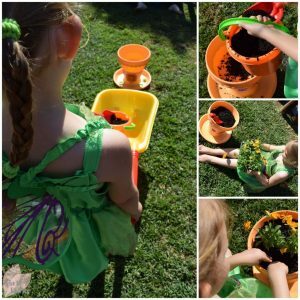 Pottering around in the garden collecting leaves or watching little bugs crawl around is a great way to teach them about nature. 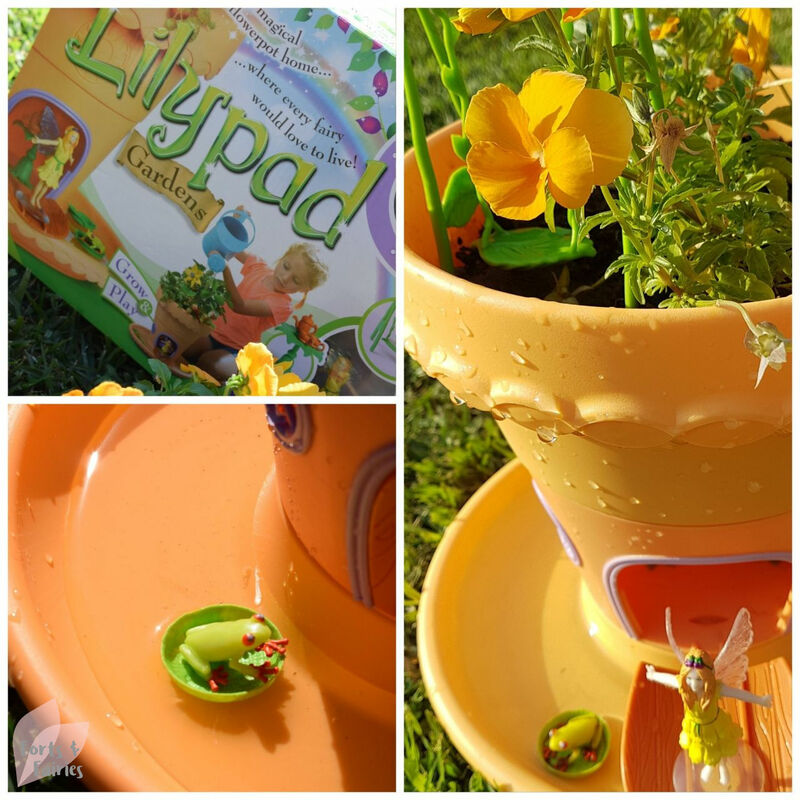 I’m always looking for other ways to teach them too, and that’s why I was excited to try the Lilypad Gardens from the My Fairy Garden range. 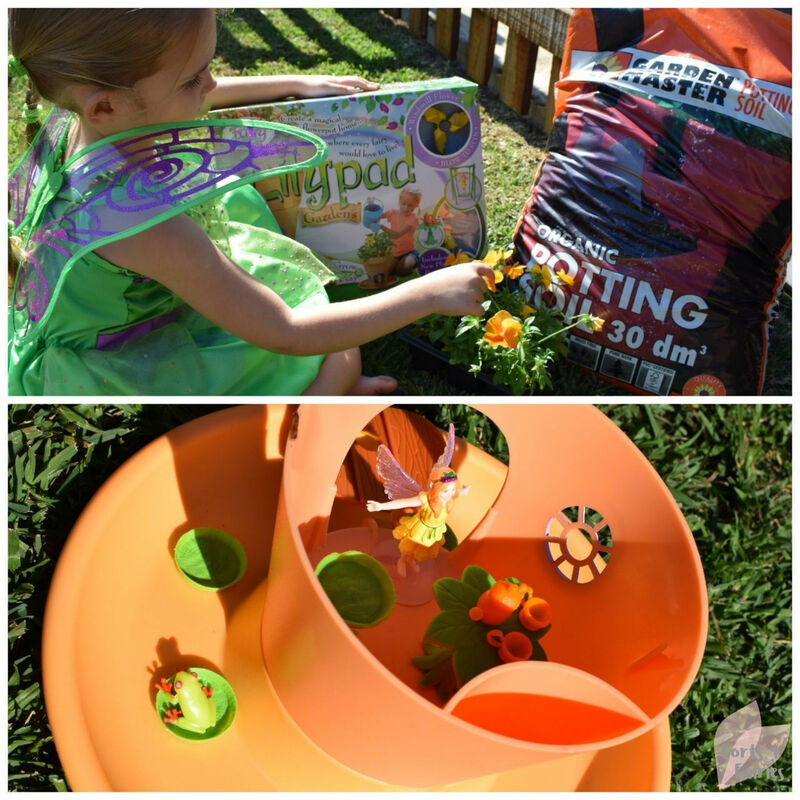 The Lilypad Gardens gives your kids the chance to create a flowerpot home for their little fairy. The kit has everything you need to build the home, including three parts that clip together very easily to form the house. The little house fits below the flowerpot, while the saucer slots underneath, each is a nice matching light orange colour. You will also have a little table and a frog stool along with a tiny teapot and acorn cups to set up inside the house. I bought a small bag of potting soil which Amy then carefully scooped inside the flowerpot. 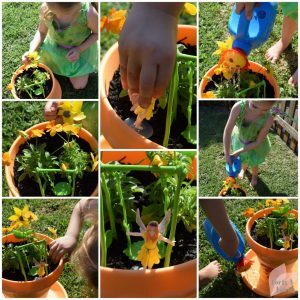 Once this was ready I showed her how to gently plant the seedlings (which I had also bought), I chose a beautiful orange tray of Violas to match the fairy garden. Once you’ve finished planting you can add the finishing touches to the fairy garden by pushing the sunflower windmill and the fairy swing into the potting soil. 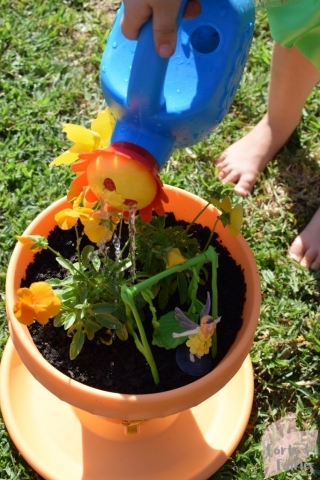 Once it’s all ready and your little one is happy with the set-up you can add the fairy. 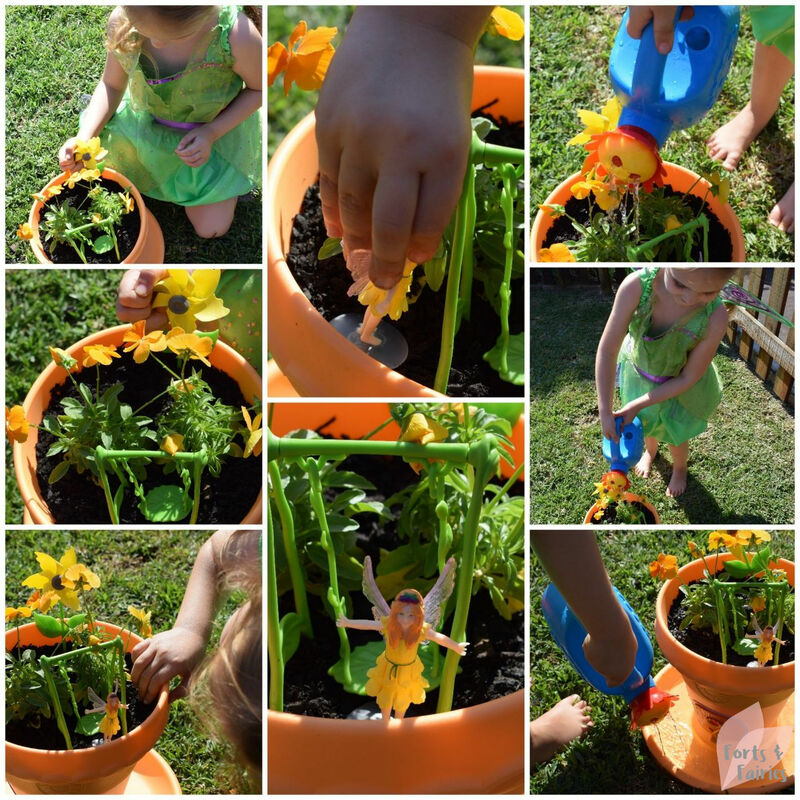 We then filled the watering can and she was excited to water her flowers. When the garden is watered the water will drain down and fill your saucer, this will mean you can then pop your three lilypads into the water and then add the little frog to float on top of one. 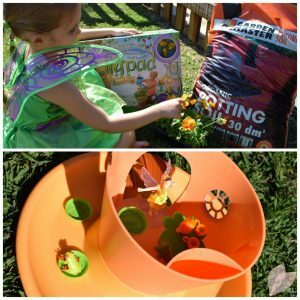 Getting the frog to float will take a bit of patience, and you will probably need to help your kiddie. Setting up the Lilypad Gardens was simple to do, and just required me to have the potting soil and about two or three small seedlings or small flowers to plant. It’s recommended for ages four and up, mainly due to the small parts included I think, but Amy managed to assemble it and set it up with just a bit of help from me. 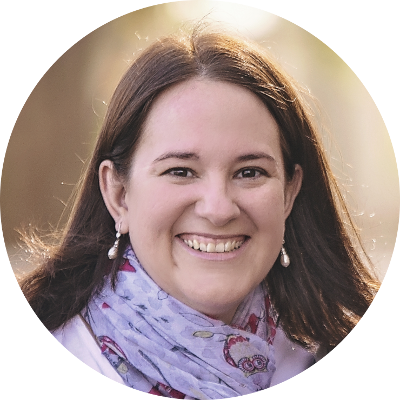 Amy really enjoyed setting the garden up, and she has since loved watering it and watching it grow. 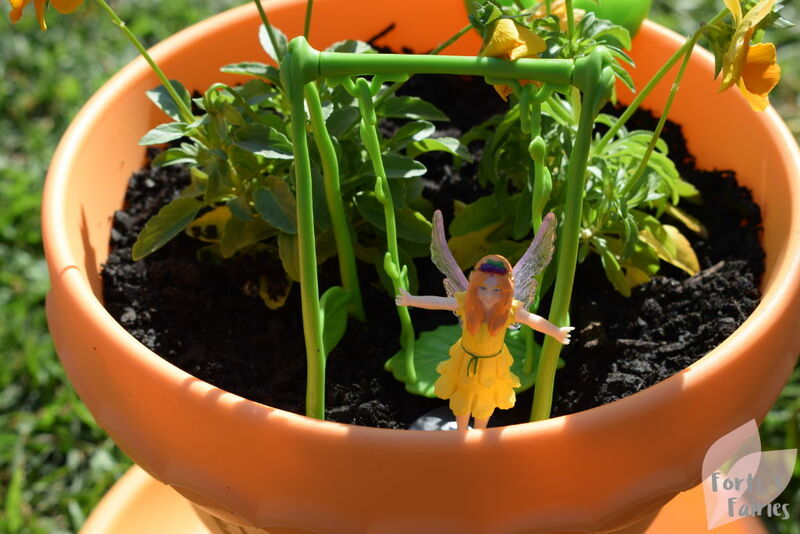 She also often moves Lily the summer fairy around within the garden, and likes to blow the windmill to make it spin. It was a fun project to do together, and also gave us the opportunity to learn about planting, taking care of and growing plants. I think it’s an excellent idea for a weekend activity or for when the next school holidays roll around. 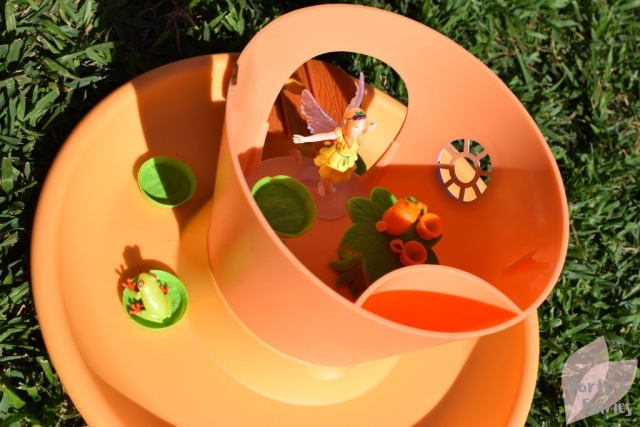 It inspires imaginative play, with her being able to easily pop the flowerpot off and play with the items inside the house with the roof off. The little door to the house swings down to open and form a drawbridge across the moat, which means the fairy can stand on top of the bridge too. The swing was great as a decorative element, but a little to rickety to use when not supported in the soil of the flowerpot. 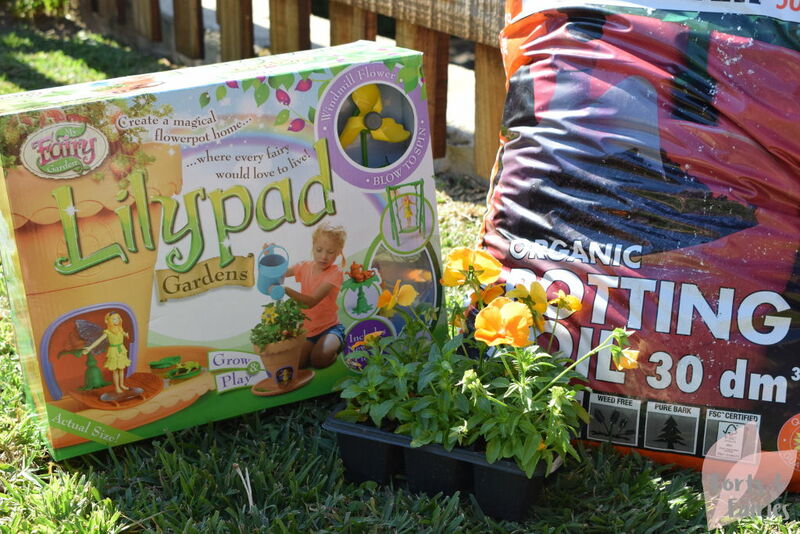 You are able to use the Lilypad Gardens indoors or outdoors. We kept ours outside in a sunny spot in the garden and played with it on the lawn. If you live in a flat it would be a great way to let your children plant and nurture flowers, as long as you monitor the watering part and make sure it can’t be knocked over. 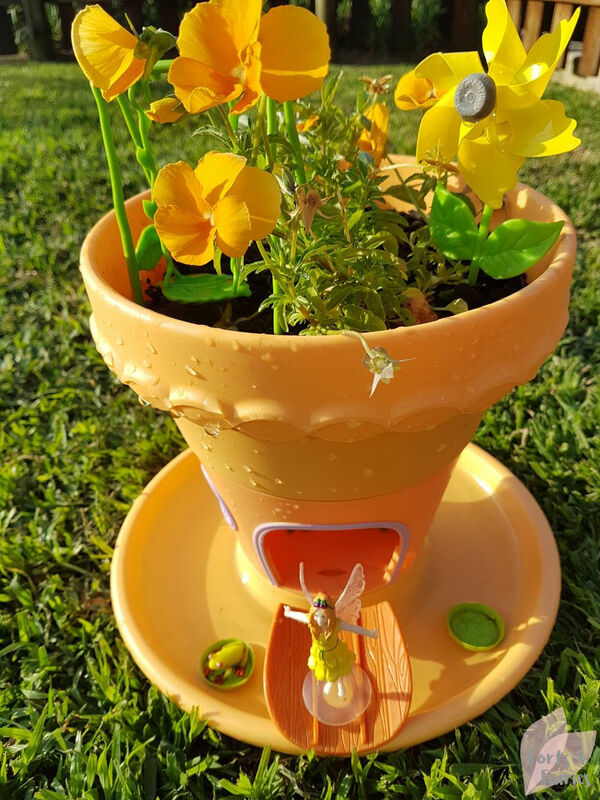 The Lilypad Gardens from the My Fairy Garden range is available for R499 from toy stores and online retailers. Thanks to Prima Toys for encouraging us to dance with the fairies.